The drug is manufactured in pharmaceutical laboratories and in illegal labs. China is a major supplier of fentanyl to the United States, and though it has begun to regulate fentanyl and its derivatives, this has not been easy due to the ability of chemists to alter the formula for the drug. In 2016, 44% of the more than 1,300 overdose deaths in New York City involved fentanyl. People who struggle with heroin addiction and consume fentanyl instead of heroin are likely to take more fentanyl because they think they are taking heroin, and this can be deadly. Slow, shallow, and irregular breathing. Passing out and not able to be aroused. If symptoms appear, it is important to call 911 immediately so the person can get emergency medical attention. Ongoing abuse and addiction increase the risk of death from these serious drugs, but professional treatment can help. Rehabilitation centers can help people get through withdrawal without relapsing or experiencing any medical problems. They can prescribe medications and offer other forms of support. In some cases, they can help someone gradually taper off fentanyl. They can also help the person work through the issues in their life that may have led them to use fentanyl. One of the more common forms of therapy used with substance abusers is cognitive behavioral therapy, which helps the person identify their triggers for using drugs. Don’t wait to get help if you have a problem with fentanyl or know someone who does. There are several types of rehab options available that can accommodate different budgets and lifestyles. National Institute on Drug Abuse. (2016). 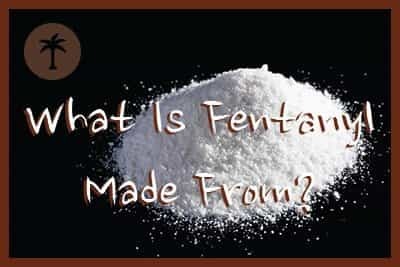 DrugFacts: Fentanyl. Global Information Network About Drugs. Fentanyl. European Monitoring Centre for Drugs and Drug Addiction. (2015). Fentanyl drug profile. McLaughlin, K. (2017). Underground labs in China are devising potent new opiates faster than authorities can respond. Science. Loria, K. (2017). The killer drug at the heart of the opioid crisis is being cut into cocaine and killing users. Business Insider. DEA Philadelphia Field Division. (2018). Trends in Opioid Availability and Abuse. National Institute on Drug Abuse. (2018). Overdose Death Rates. Centers for Disease Control and Prevention. Preventing an Opioid Overdose.